Photos and videos are essential elements included in various activities of young, old, amateur and professionals today. They take photos and record videos because it is needed for work, business and in various social media activities, such blogs, viral videos and simple daily posts to keep your social friends updated with your daily lifestyle. Therefore, a camera plays a very important role in one’s lifestyle. Due to this continually increasing demand, various cameras are produced and manufactured. 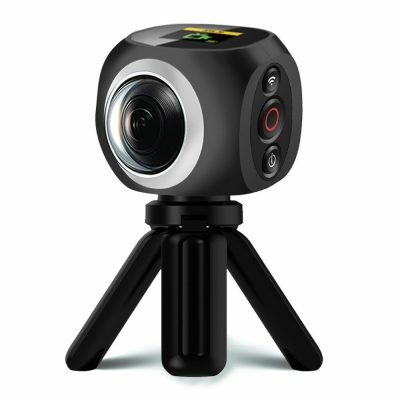 One of the high quality cameras that can be considered to be very helpful to you is the Banne 360° Wide Angle Camera. This camera is also a perfect tool for your outdoor activities, such as cycling, skiing, road trips, snowboarding, rafting or hiking. You can always bring it anywhere because it is small and handy. It comes with various accessories like tripod that may be useful to your shooting angles. The battery is rechargeable and detachable and that will help you save your battery life. The built-in Wi-Fi allows you to copy and download your captured photo and video moments to your smartphone or tablet. This is a good way of sharing your moments with your family and friends via Facebook, E-mail and Instagram. So, it is a plus to netizens to keep their social media accounts updated. The 360° lens gives you a VR panoramic photo and video with high quality display. This will make you want to look back at your saved photos and play your recorded videos. And then, it can record a video for up to 35 minutes. At the moment, Black is the only color available, which looks pretty cool in its design. It is not waterproof, so if you have plans of using it when you are going out for your swimming activities, then you better ask someone to take photos and videos for you. But then, it will be safe in its waterproof case. The 360° Wide Angle Camera sold by Banne is pretty cool. It has simple, but great features. Everything that you need in a camera is already listed. And if you like staying outdoors to capture photos of various sceneries, then it is practical to use. You do not need to be an expert capturing every moment and spot around because it is convenient to use. The tripod is of big help in recording videos because it eliminates the hand shaking problem. You might find it expensive, but grabbing the promotional offers at a cheaper price will make it more affordable.